We'll make custom laser checks for your software. Contact us! Many other types and assorted colors are available! Exhibit Labels CREATE WHATEVER YOU WANT! 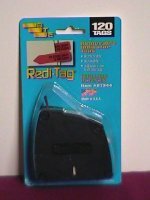 "TABBIES"
Easy Set-up instructions for use with Microsoft Word� and any Standard Laser Printer. 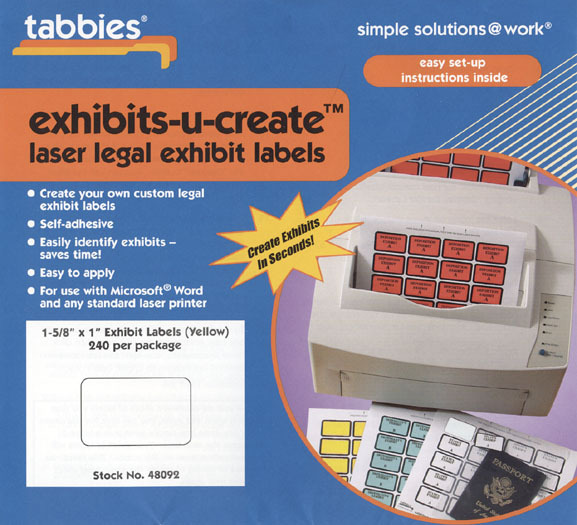 Add $1.00 per pack and we'll print "whatever you want"
We also stock TABBIES Legal Exhibit Tabs. Please inquire about availability. 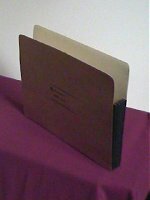 We supply front and back binding covers, clear and colored. from 3/16" to 2" in diameter, in black and in white. 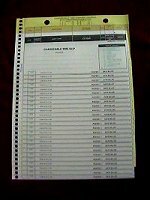 We also supply Office Binding Equipment and offer Binding Services. 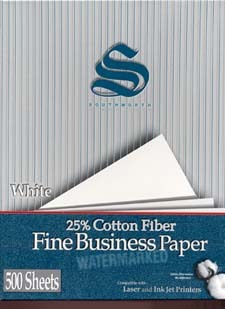 We will custom print your firm name and address on these papers, in margins or elsewhere. Order these supplies on the Legal Supplies Order Form. Or click Contact Us to email your request or question. Prices subject to change. We'll let you know!